Set every heart aflutter with the mystic fragrance of Enchanteur Eau de Toilette 50ml - Enticing that concocts the essence of Magnolia, Rose, Freesia and Bergamot. Suitable for everyday use as well as parties. Additional Information: Enchanteur introduces a variety of select skin care products to provide dermatological solutions to your sensitive skin. 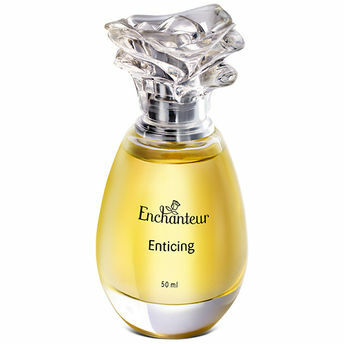 Enchanteur Eau de Toilette 50ml - Enticing enchants your senses and keeps you fresh for a long time. Explore the entire range of Perfumes (EDT & EDP) available on Nykaa. Shop more Enchanteur products here.You can browse through the complete world of Enchanteur Perfumes (EDT & EDP) .